Would you like to learn information that could help you identify any new plant that you encounter? 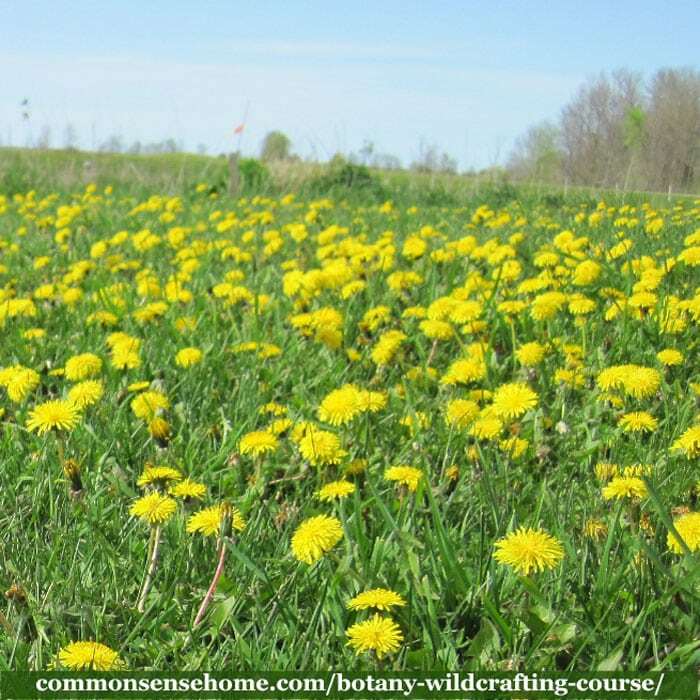 You don't have to be a botany expert to enjoy using wild plants. 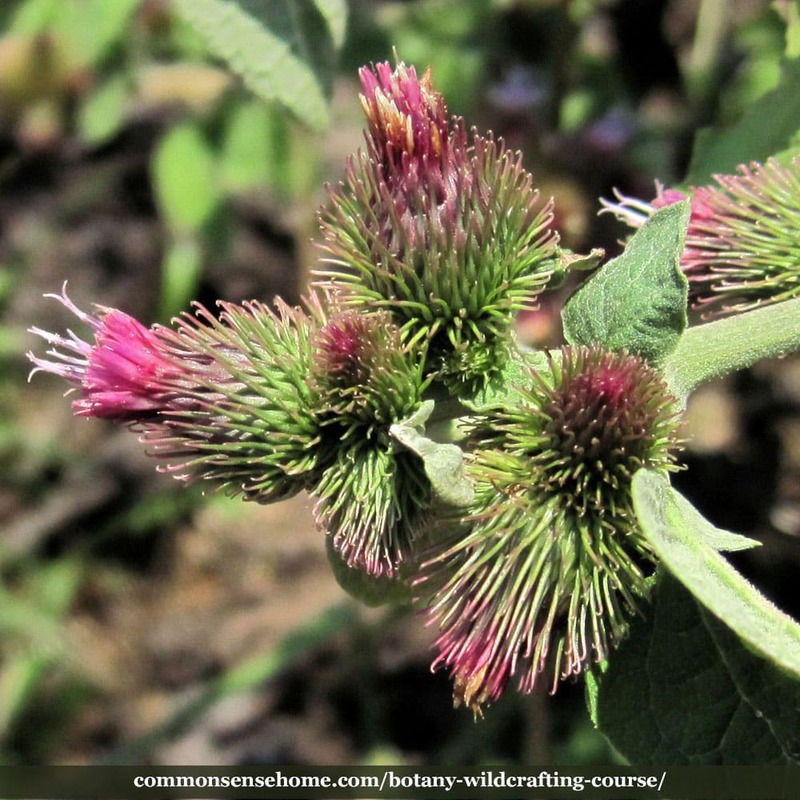 The folks at the Herbal Academy have created another awesome herbal study called the Botany & Wildcrafting Course. It's my pleasure to introduce it to you. Botany Definition – What is Botany? Botany is the study of plants and how plants work. People who study botany are called botanists. Botany is also known as plant biology or phytology. In the case of the Botany & Wildcrafting course, we'll use botany to learn how to use wild and native plants for food and medicine. 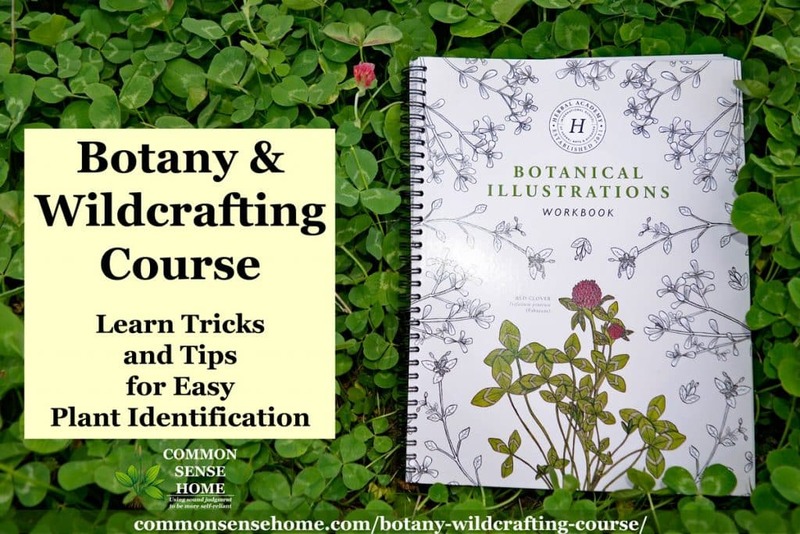 There's an optional Botanical Illustrations Workbook that you can use as a basis for your personalized plant guide, or you can create your own. A dichotomous key is a tool that allows the user to determine the identity of items in the natural world, such as trees, wildflowers, mammals, reptiles, rocks, and fish. Keys consist of a series of choices that lead the user to the correct name of a given item. “Dichotomous” means “divided into two parts”. Therefore, dichotomous keys always give two choices in each step. When you'v mastered the tools in the course and you encounter a new plant, you'll have an easy system to help you identify that plant. Learning about botanical families is helpful in herbalism studies and in the garden, too. Plants in the same botanical family will generally cross pollinate, so if you're saving seed, you want to keep them apart. When it comes to herbalism, plants in the same family often (but not always) have similar medicinal properties. This can give you a clue about how to use a plant that you recognize, but haven't worked with yet. Herbarium Definition: a collection of dried plant specimens, usually mounted and systematically arranged for reference. The best way to remember is to work with your hands, not just your head. Make a plant drawing, press some leaves, and you'll remember the plant better than simply reading about it. Don't worry about being an expert artist! 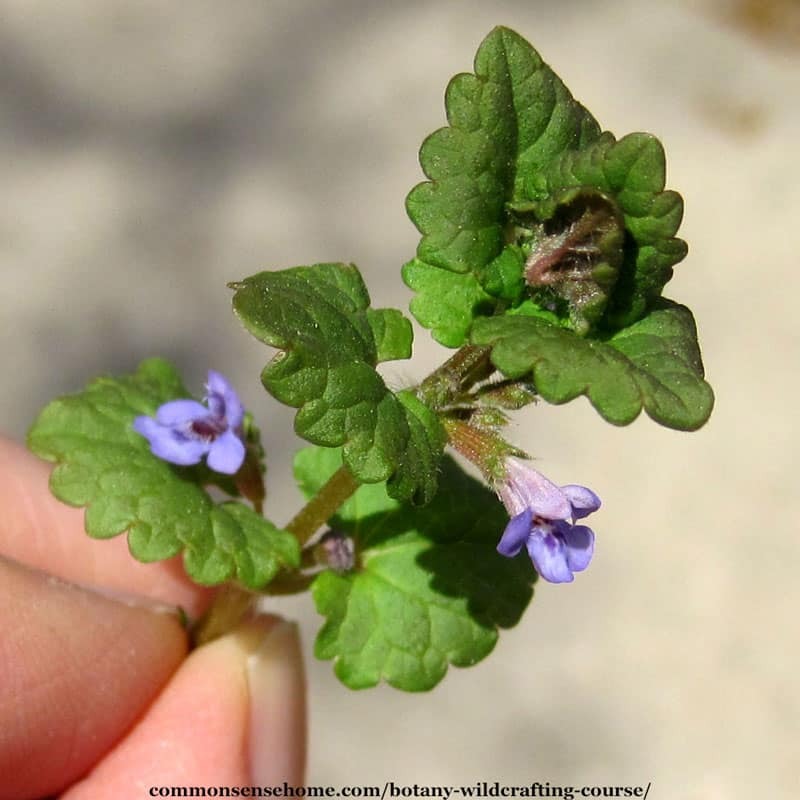 The Herbal Academy crew will walk you through the key points of plant drawing. I love free food and medicine, but there are some rules for safe and ethical wild harvesting. You need to know which part of the plant to use, and when to harvest. Gathering too much of some plants can wipe out future harvests, but other plants thrive and spread after being disturbed. Nobody wants to be a plant abuser. 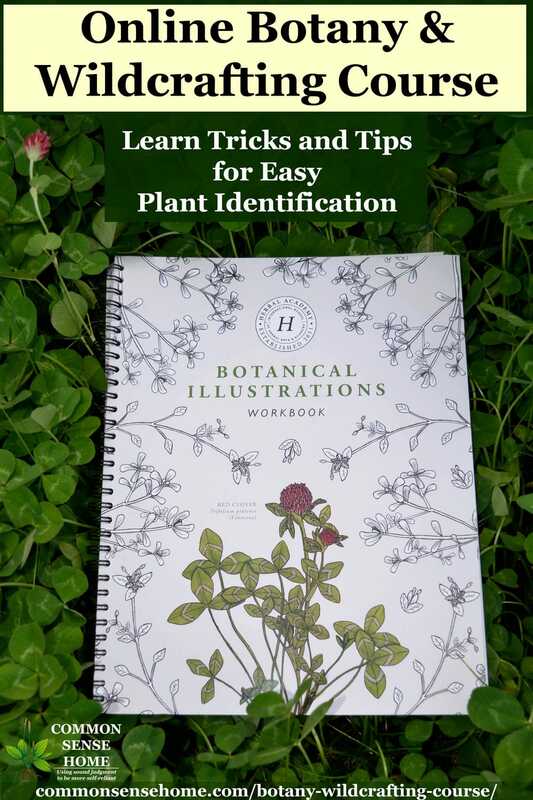 Each plant monograph includes plant ID tips to help you identify your wild plant. They also list edible uses and basic medicinal use. I could call it a plant ID cheat sheet, but that might imply something naughty. This course is all nice, as are the people teaching it. It's great to dive in and get some “plant geek” time. I received access to the course in exchange for an honest review. (I'm still working on the course myself right now.) I am an affiliate of the Herbal Academy, so if you choose to purchase the course at some point through my links, I receive an affiliate commission at no extra cost to you. Thank you for supporting the site!